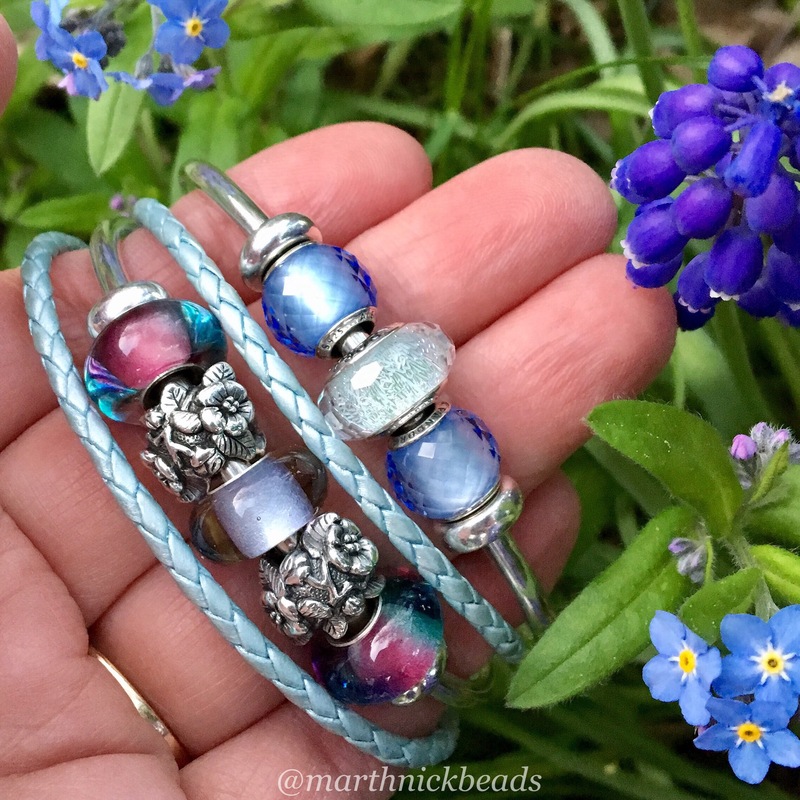 I didn’t have time for my planned Ohm Beads post so I’ve gathered up my photos from Instagram from the past week or so. It’s become apparent to me that I take a LOT of bead photos, yikes! Anyway, here’s a Fun Friday look at some combos. 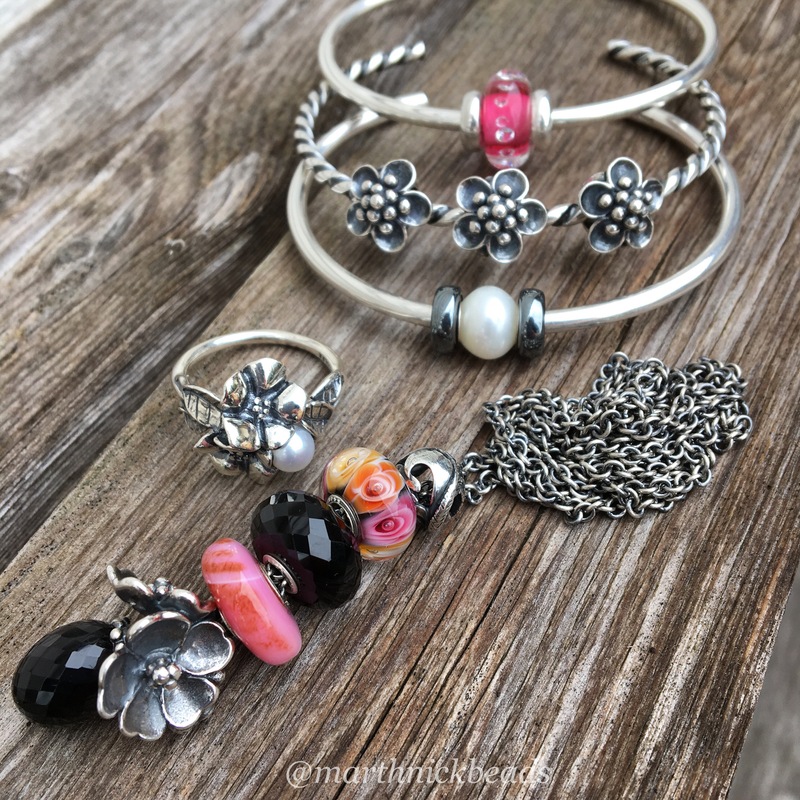 Hopefully it will stop raining this weekend long enough for me to get some good photos of the Strawberry and Butterflies beads! 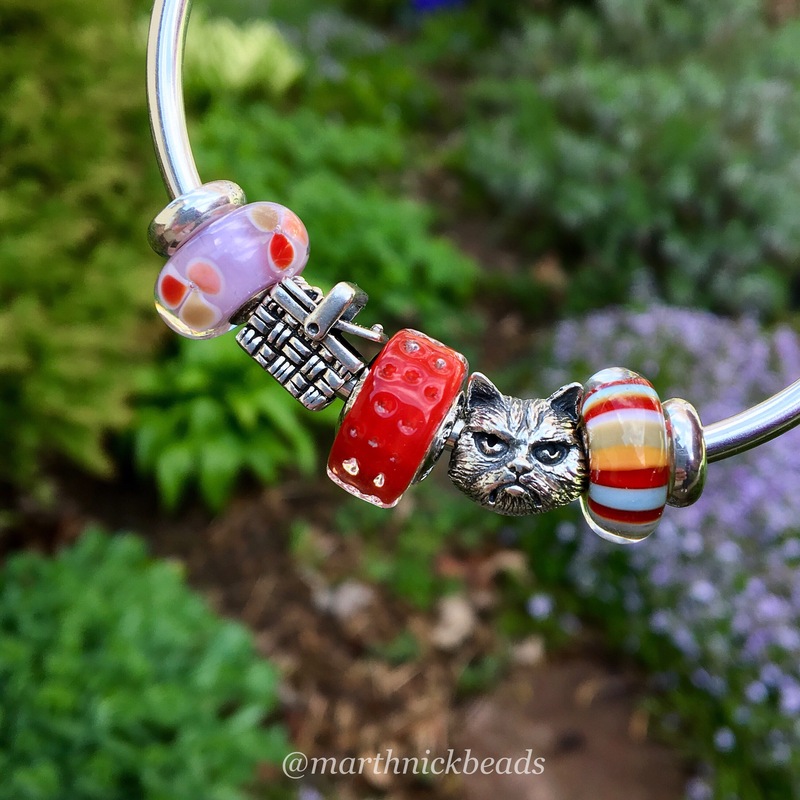 Here is the Strawberry bead with the Ohm Beads Picnic Basket and Grumpy Cat. This is my combo for work today with some warm pink and peach tones. 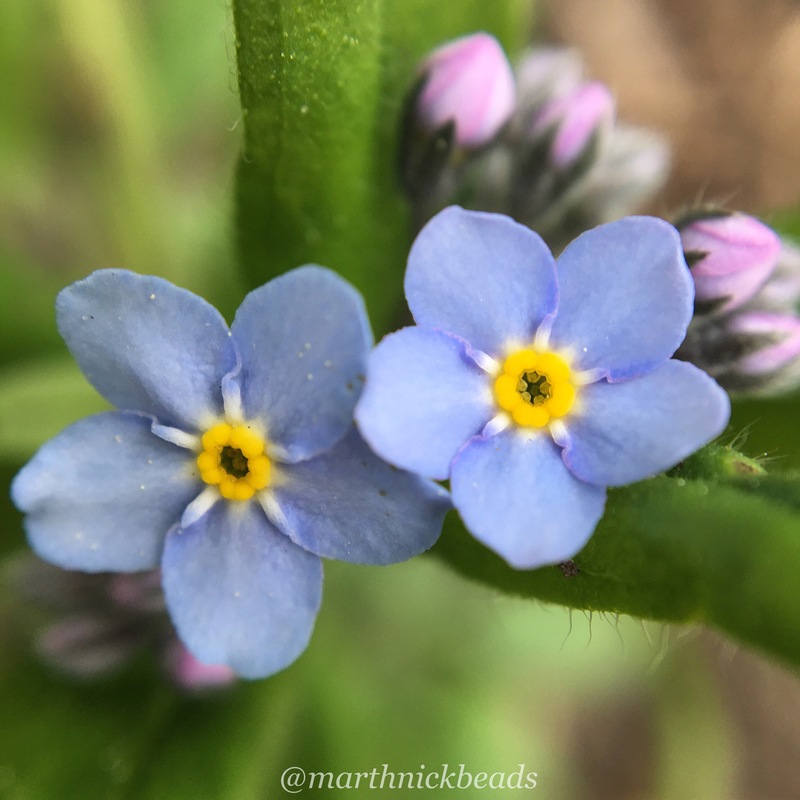 Here’s a macro shot of the forget-me-nots. Such a sweet flower! Below are my combos from earlier in the week. I love the hot pink with black! These True Beadz looked so pretty with my pansies. The blue and yellow bangle was a favourite from last weekend. 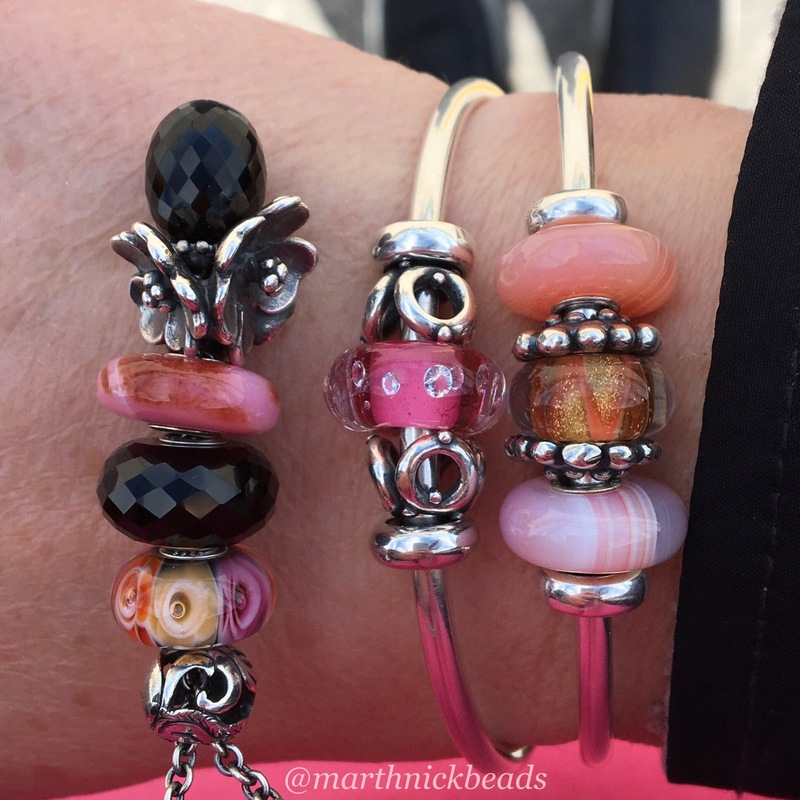 The Cinderella Pandora Disney Murano in the middle is so gorgeous! This was a big bracelet using some of the Fenton beads. 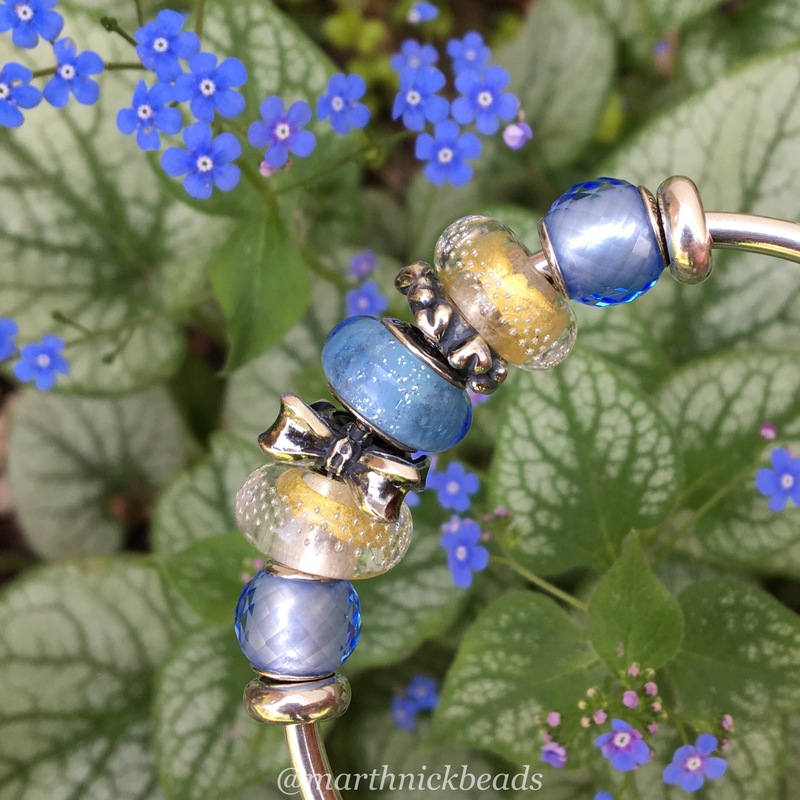 The Trollbeads Bumble Bee and Beehive Spacers are perfect for this time of year. It was so exciting when they came out with the decorative spacers and I hope they keep making more. 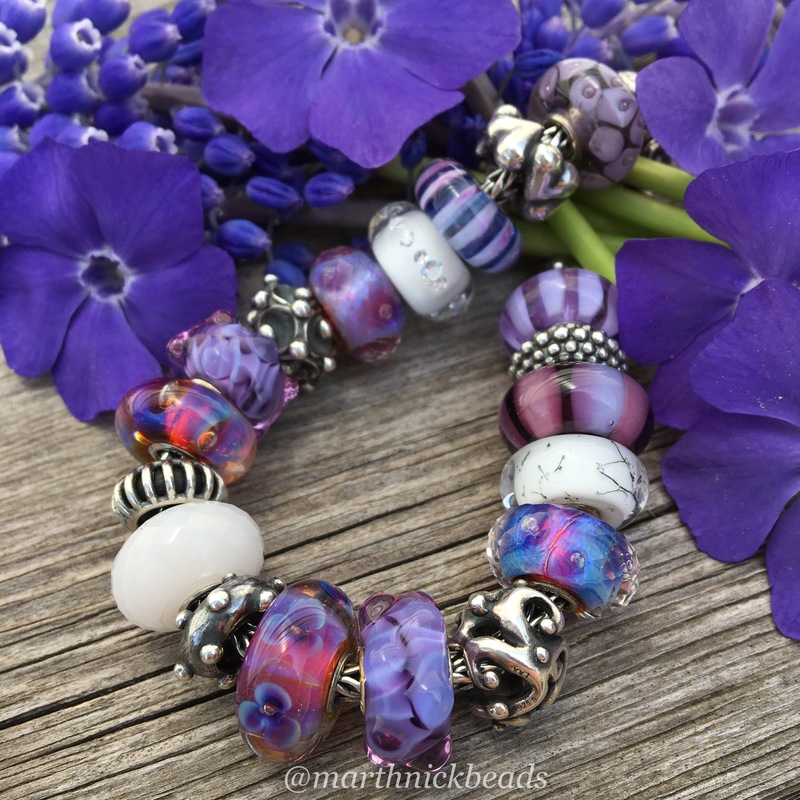 Lastly, this is a purple and white Trollbeads bracelet. It’s still in my box waiting to be worn! I know lots of people are tapped out with recent bead promos and I just bought the Perlen X Jewellery starter bracelet deal myself. 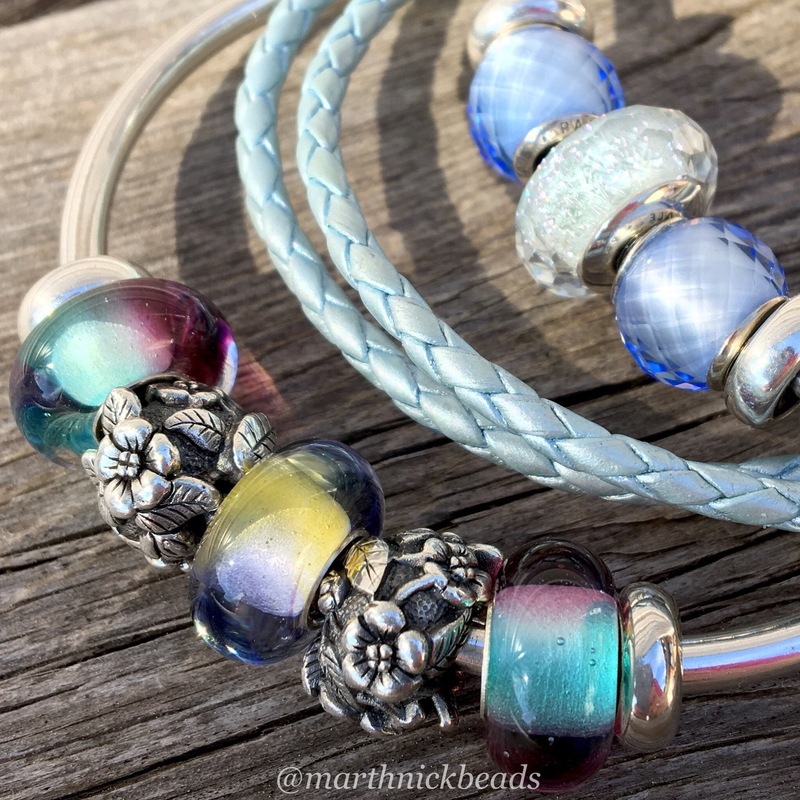 I’m hoping the turquoise links will match the turquoise Trollbeads Unique Leather Bracelet. Is anyone waiting for some beadmail? Have a great weekend! Hi Martha, First I love every one of your photos! 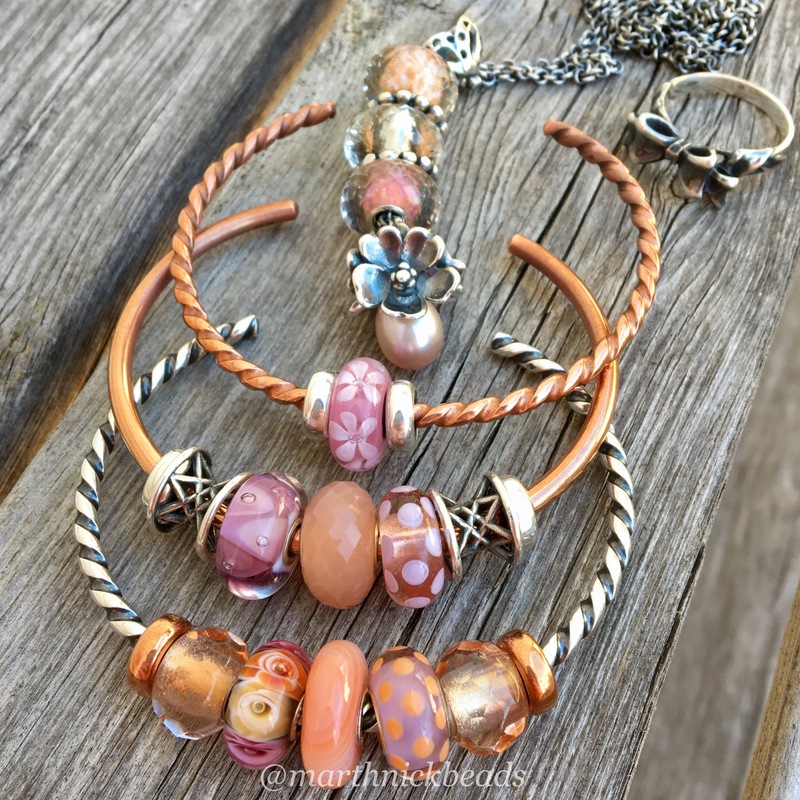 As far as bead mail…I got the Floral Dreams deal from Perlen. I chose Violets of February as my bead and Soft Wind of Change as my lock. Such a great deal!!! Then I also got the retired Periwinkle and the Cinnamon Pandora Stars so now I’ll have the full set. Also some retired Trollbeads. And a couple of True Beads from Great Lakes Boutique. I think that’s it! Oh my goodness, Suzanne, that all sounds wonderful! Perlen really has great deals sometimes and the Floral Dreams is a great one! I love the Soft Wind of Change lock as it’s very pretty but comfortable to wear. 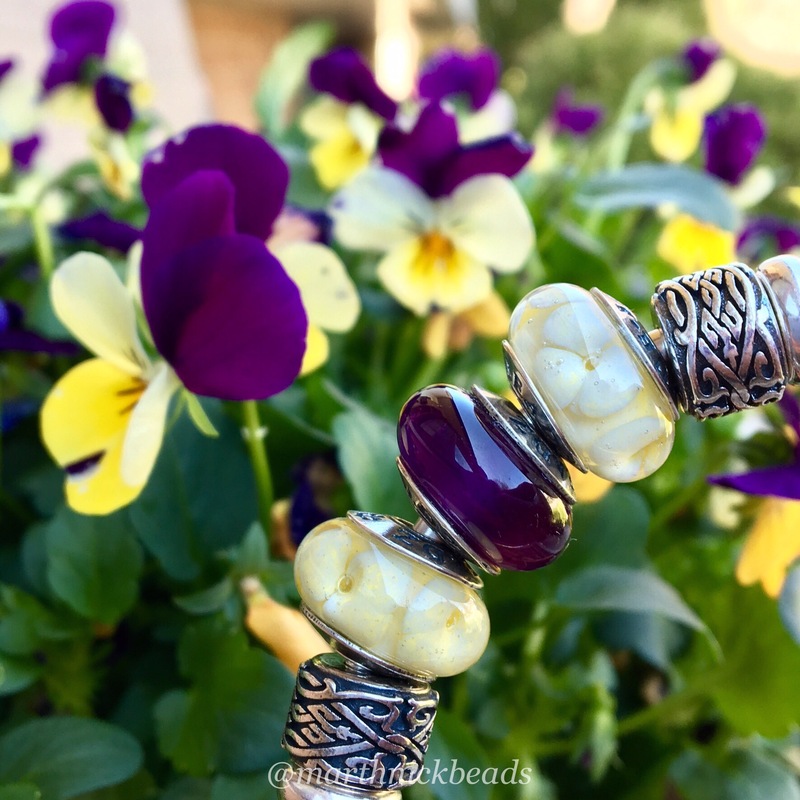 Enjoy your beadmail when it arrives! Hi again Martha, I was just wondering about your copper bangles and stoppers. Do you do anything special to clean them? I have a couple of the stoppers and they look dull already. I don’t even want to use them. I have used two methods, the first one being dousing the bangle and stoppers with ketchup on a plate and leaving them for 10 minutes or so and then rinsing. And I’ve done the lemon juice method, also for about 10 minutes, just putting them all in a shallow dish. I think probably the acids are not good for the inside part of the stoppers, but I’ve been doing this for a couple of years without any problems. I don’t like the dull look either! Thank you. I think I’ll try the lemon juice. The ketchup idea sounds a little disgusting! LOL! Yes, the lemon juice smells better. I need to do mine tonight. My friend told me Trollbead Canada increase price, $39 glass is $45, $72 stone is $84. Earthwork will have buy 3 get 1 11 -14 May, lucky draw and price. Thanks for the info Michele. I’ll tell my friend about the Earthwork deal. Have a great weekend! Love your different looks throughout the week. Looking forward to seeing your new X links! I’m currently waiting for the official TrueBeadz site to update in 2 weeks or so. I’m planning on picking up at least 1 retiring bead. Thanks April! There is always a deal going on, isn’t there? 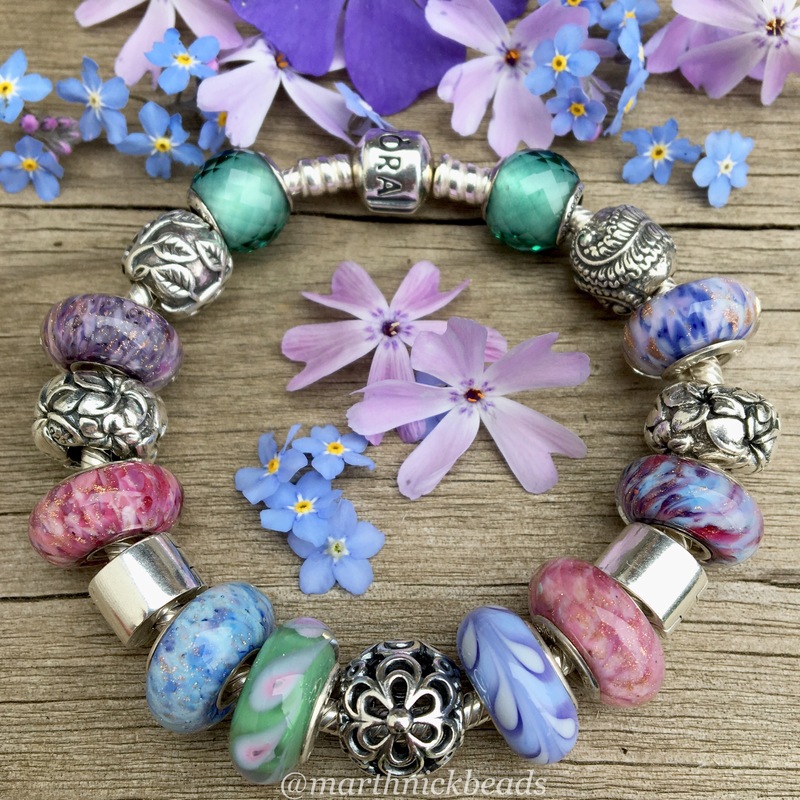 I hope you are able to get a bead that you want! Love all your pictures. You have such great ideas. I really like the Cinderella Murano. I wished we could have them in Europe. 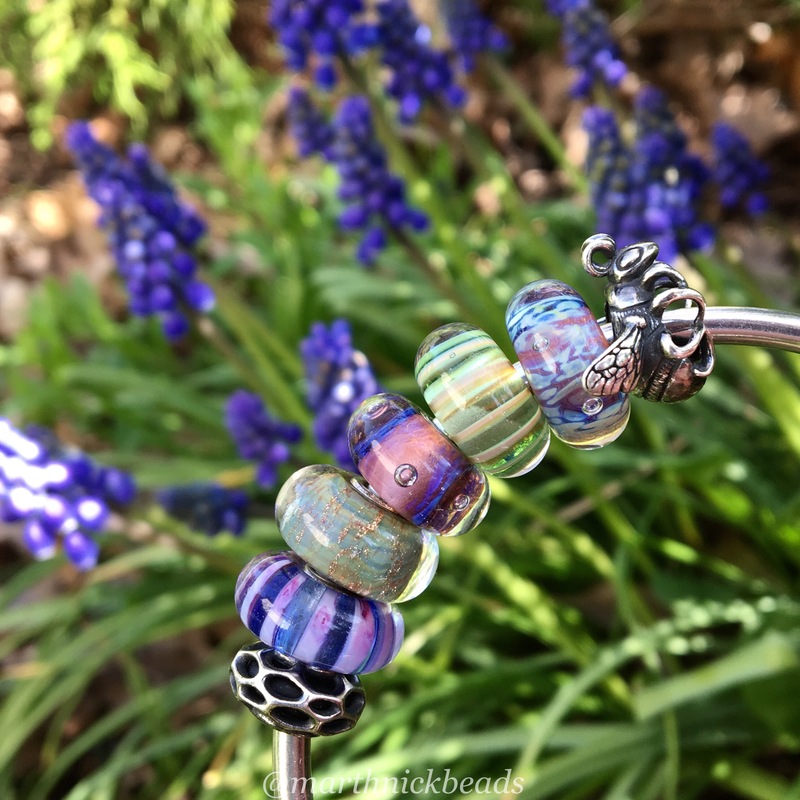 I don’t really mind about the Disney silver beads but I LOVE the Disney Muranos. But I guess it’s better for my finances. I’d buy a pair of each and I’d end up ruined.